JACKSONVILLE BEACH, Fla. - Tiffany Lyford has never been in a position to have to ask for donations for her family. But the partial federal government shutdown has put her -- and many other families -- in that position. Lyford's husband, Joe, has served in the U.S. Coast Guard for more than 16 years. Because the Coast Guard is under the Department of Homeland Security and not the Department of Defense, Coast Guard service members are not being paid during the shutdown. Local organizations are stepping in to help families of federal workers and Coast Guard service members affected by the shutdown. The Greater Jacksonville Area United Service Organizations and the Beaches Emergency Assistance Ministry are offering assistance that includes helping with mortgages and rent, and providing food and other items needed. 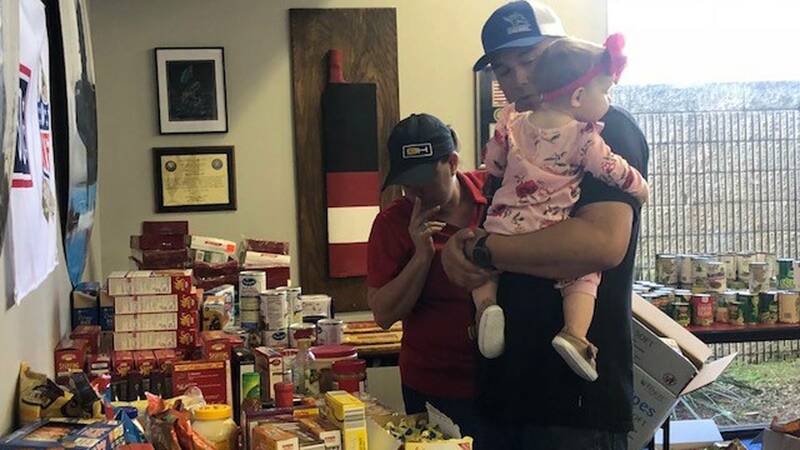 Nearly 600 active Coast Guard members and their families have visited the Mayport Road USO to pick up items, such as diapers, toothpaste and canned goods, at a food pantry hosted by the USO and the Chief Petty Officers Association. “The longer this goes -- the government shutdown -- the more difficult, the more challenging it is for Coast Guard families and all of those not receiving a paycheck,” said Mike O'Brien, executive director of the local USO. BEAM dropped off nearly 5,000 pounds of food to the USO on Friday. 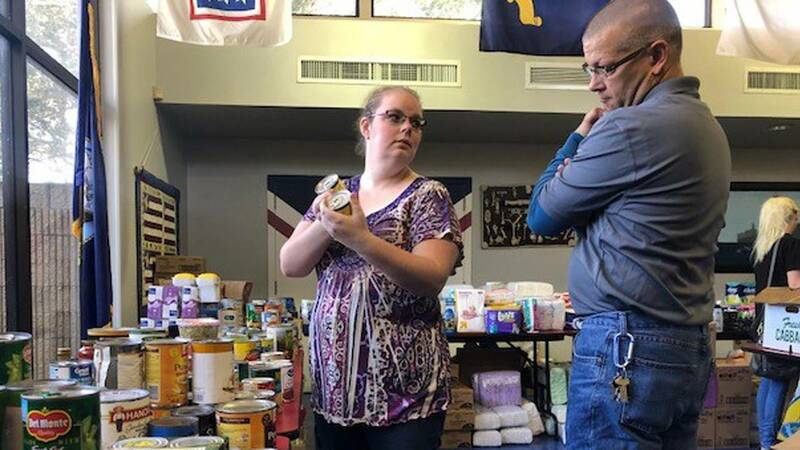 Both BEAM and the USO are looking for donations of food, baby items and pet supplies. Check BEAM's social media pages for updates. To donate for individuals or groups, you can contact BEAM’s executive director, Lori Richards, at 902-241-7437. Food donations can be dropped off behind the BEAM thrift store at 318 7th Ave. North in Jacksonville Beach. 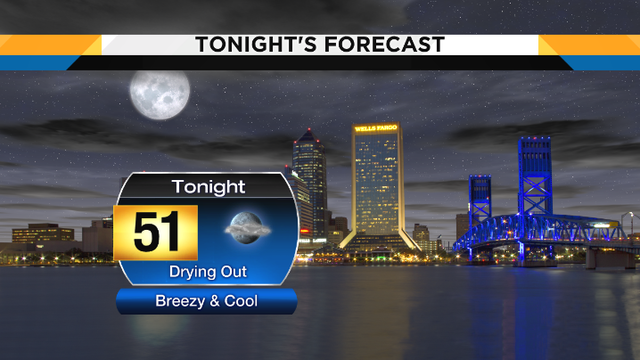 The USO asks people to donate on Tuesdays and Wednesdays at 2560 Mayport Road in Jacksonville or call 904-246-3481. For more information on how to help, go to www.jaxbeam.org or jaxuso.org. Federal workers impacted by the shutdown who work or live at the beach can receive financial assistance and food from BEAM. It can help residents pay rent, mortgage and utility bills, as well as provide food for families. It also has a pantry with fresh vegetables grown in its garden. The organization serves low-income residents in Jacksonville’s beach communities and relies heavily on community support to assist residents in a time of need. Richards hopes the continued support from the community will bring relief to those struggling to make ends meet. There is a pantry in Mayport that is convenient for anyone stationed at the Coast Guard base and another pantry in Jacksonville Beach at 850 Sixth Ave. South. For more information, call 904-241-2326 or visit the website Beaches Emergency Assistance Ministry. Those impacted by the shutdown are encouraged to call the United Way by dialing 211. The Chestnut Law Firm will be providing a free lunch to federal workers affected by the shutdown from noon until 2 p.m. Saturday at the Potter's House Soul Food Bistro at 5310 Lenox Ave. The free lunch will be offered to furloughed employees with a valid government ID and their families. Toiletries, including: shampoo, conditioner, body wash, soap, toothpaste, female hygiene produce, deodorant, etc. Monetary donations can also be made through the church's website: Christ United Methodist Church.